Yup, that’s him all right. He begged and he pleaded. He negotiated. He wheedled. He bargained until we struck an accord: I would buy all four skeins of yarn if he would learn to knit and help me make them. So this is good and this is bad. First of all, did I just agree to knit four scarves when I already have a lot of work to do? Oh, I think I did. But there’s no particular deadline for these scarves, and self-striping garter stitch on nice bamboo needles isn’t exactly punishment. Not to mention, it won’t do Charlie any harm to learn some knitting. 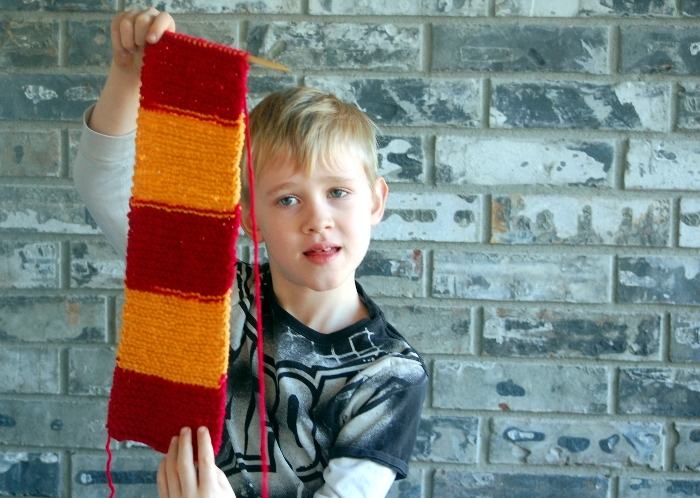 I told him that children his age used to knit things like scarves all the time, and he was flabbergasted. It won’t do him any harm at all to find he can do something like that. In fact, he’s already done about three rows of the part we have finished, although he dropped a few stitches (at which point I realized that him knitting is going to be harder work for me than doing it all myself) but who knows? 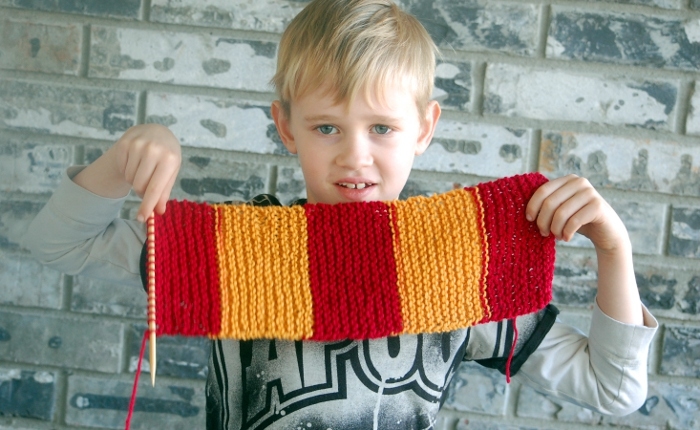 Maybe by the time we get around to Slytherin he’ll be knitting independently and I won’t have to anything but cast on and bind off. Only time will tell, I suppose. Don’t worry, kiddo, we’ll get it figured out! This entry was posted in In Progress, Life in General. Are you excited about the chickenghan? I sure am. I’m pretty sure Greg’s already tired of me saying how excited I am for this project, and it’s only January. 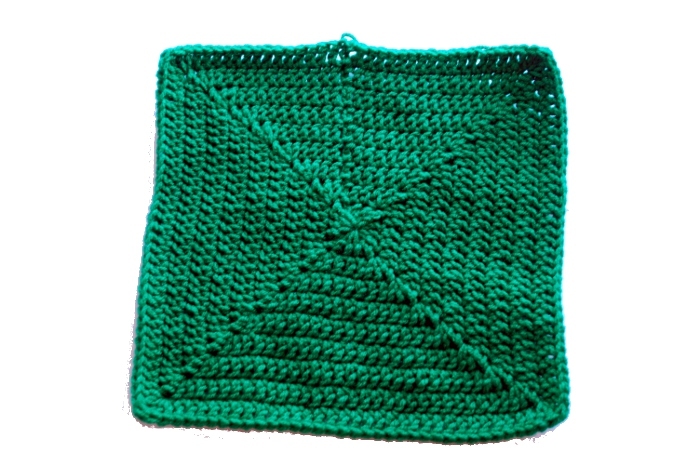 Well guess what, I’m not going to shut up about it now, because I’ve finished the first square! 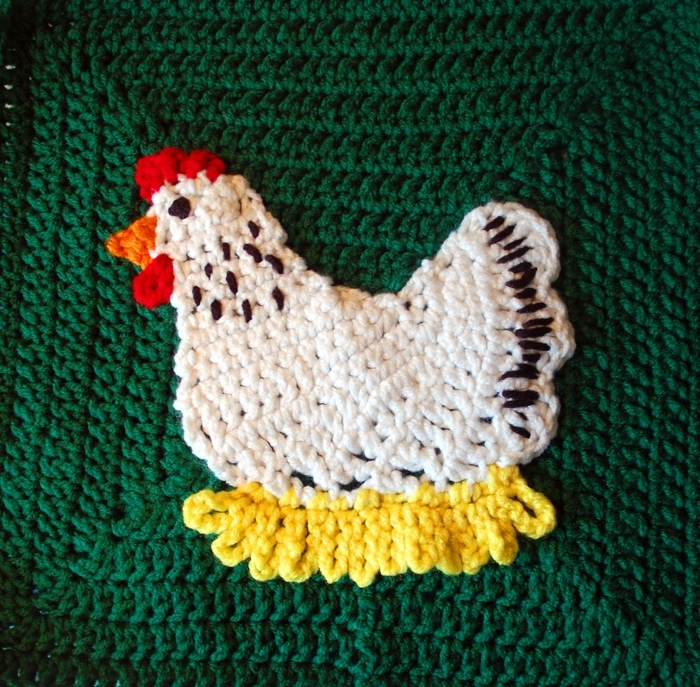 If by chance you are in love with the chicken design and want to stitch it onto something in your home, you can purchase the directions for a very low price. 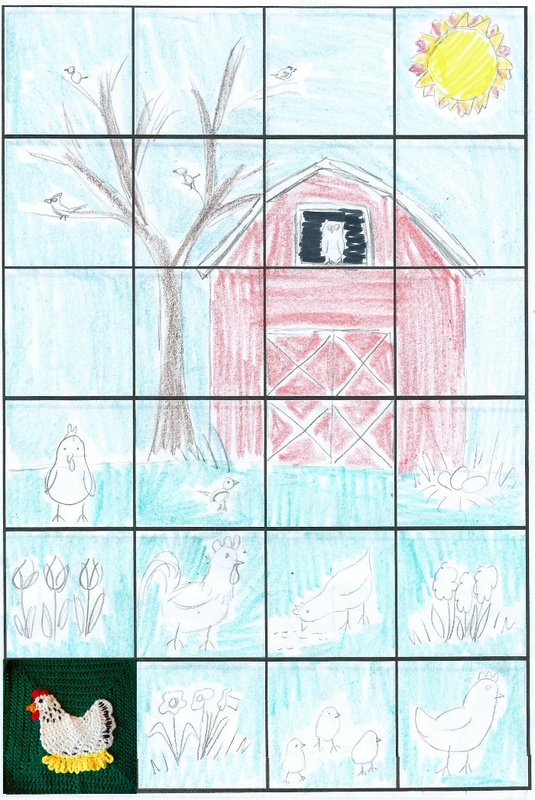 Boy, I really hope you like seeing crocheted chickens, because we’ve got a lot of that coming up. 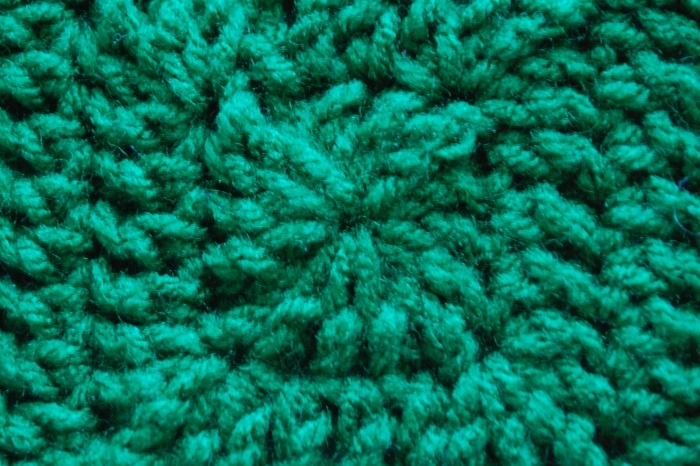 This entry was posted in Finished, In Progress, Patterns. Not really the look I was going for. So, instead, I came up with my own directions for a granny square with seriously no holes in it. See? Much better. I used some Red Heart Super Saver and an H/8 (5.00mm) hook for mine; obviously you can use whatever you like but it’s going to affect the size and density. Swatch for your project, is what I’m saying. Rnd 1: Ch 3; make 2 dc in the 3rd ch from hook, tr in same ch. (Make 3 dc in same ch, tr in same ch) 3 times. Join in top of ch-3. Rnd 2: Ch 3. * [Dc in each dc until tr, (place 2 dc, tr, 2 dc) in tr] 4 times. Dc in each dc until ch-3. Join to top of ch-3. Repeat round 2 until square reaches desired size. I found that three rounds made a square about 4″ across, six rounds made one about 8″ across, and nine rounds made one about 12″ across – your mileage may vary with different gauge or materials. Each one takes about 100 yards. 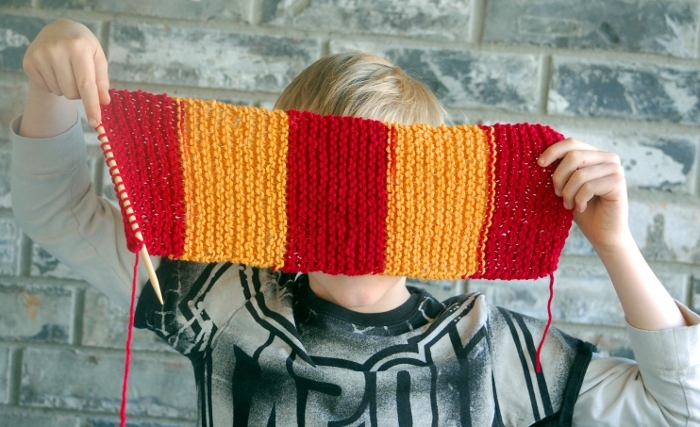 So obviously, I’m making nine-round squares for the Chickenghan of Doom (official name). Twenty-four of them. Well – only twenty-two to go! 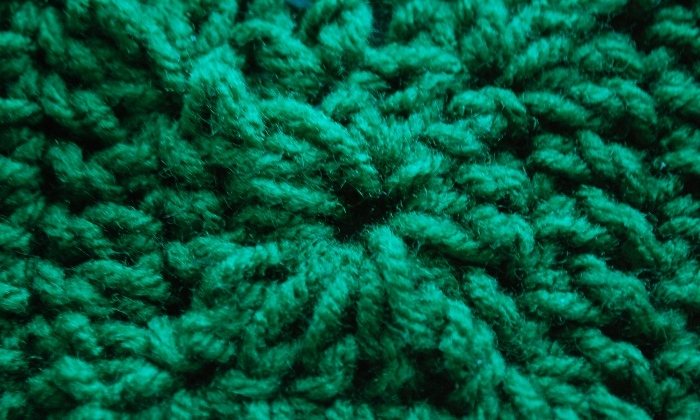 This entry was posted in In Progress, Patterns.